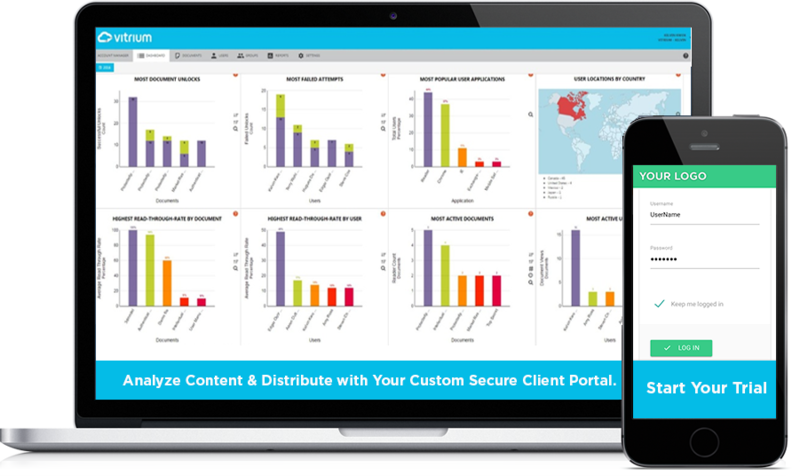 Secure Your Content with Military-Grade Encryption & DRM Controls, Deploy Your Custom Secure Client Portal, Track Content with Vitrium's Tracking and Analytics, and more! Protect revenue earning content, copyright, or confidential information in documents and images with high-grade encryption, IP and device restriction, DRM controls (copy, print, and share blocks), as well as remote deletion and expiration of access to files. Take your PDF, Image, Microsoft Word, Excel, PowerPoint, and OpenOffice files and distribute them to your audience as Secure Web Links. For offline security measures like revoking access, remote deleting, or blocking copying and printing, distribute your content as a Secure PDFs. Create your own secure client portal with Vitrium’s Central User Portal and offer your clients a secure single place to access all documents associated with their credentials. Keep your brand consistent by adding a custom URL, add brand colors and logos, and enable simple self-service account administration tasks like registration and password recovery. Upload image files to Vitrium Security to apply encryption, password protection, and DRM controls. Add dynamic watermarks to stamp user information onto files for accountability, and share secured files and links with your audience through Vitrium's custom Secure Client Portal, email, or your own portal or system. Access full audit log for tracking purposes and access a variety of analytical reports that provide incredible insight into how users are accessing and consuming content. Information such as what content is viewed, when it was viewed and from what type of device, application or browser. Even granular data like what pages were viewed and how much time was spent on each page. Leverage your existing contact database and document processes while automating Vitrium's technology for security, control, and tracking of content. 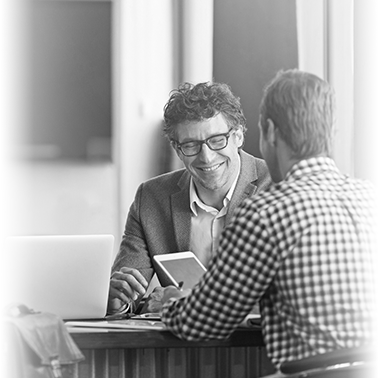 Vitrium integrates with Active Directory, SQL Server, or other any contact databases, as well as Learning Management Systems, Enterprise Collaboration Systems, Enterprise Content Management, Content Management Systems, Document Management Systems, to name a few. "Without a solution like Vitrium Security, the business plan wouldn’t have been viable. As a result of our implementation of the secure digital library and other initiatives, TitleVest has been voted New York's Best Title Agency for the fourth consecutive year." Deploy Vitrium's Secure Client Portal in just a few minutes to instantly deliver your content to your audience. Vitrium introduces the new Central User Portal. A central place for all your files. Simply activate the Portal in your Settings to begin branding and customizing your Client Portal. 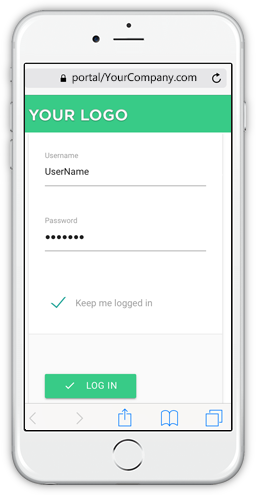 Your audience logs in once to access all materials related to their account - from anywhere and on any device. Vitrium delivers digital content security software solutions that empower organizations that create, publish, or distribute proprietary, confidential or revenue-generating documents and images. Try Vitrium Security Version 7 for free! Protect Your Content. Protect Your Business.